Leak detection until recently was not an established area of study. In fact, in our day to day lives, we had addressed a leakage only after it was visible. However, with the advent of technology, leak detection has become a budding area of study. The demands of high technology industries and manufacturing firms have led to specialized techniques for leak detection. Moreover, leaks are not restricted to pipes only; there can be leaks in washing machines, vacuum cleaners, and another household machinery. There can also be leaks under the flooring of your homes and so on. Thus, leak detection tests vary depending on the area, place, and machine to maintain the safety and security of the user. Spraying test: This test is employed for leak detection in a specific area. Here the detector evacuates the air inside the test part, following which the tracer gas is sprayed on the external surface of the part. The aim is to measure the gas flow through the leak channel in the wall of the test part. This leakage test is extremely easy to perform and zeroes down the exact location of the leak. Sniffing test: In this method, the area is pressurized with tracer gas. Thereafter the sniffer probe is moved around the area. The detector will then detect the place from which the tracer gas is escaping. In this way, the exact area of leak can be detected. This is another simple method for leak detection. Integral Vaccum test: Detection of the leak by the use of integral vacuum method is considered to be a highly sensitive technique of leak detection. Here the object you wish to test is placed in a vacuum test chamber and filled with tracer gas. If there is a leakage, the tracer gas will escape from the object into the test chamber and will be measured by the leak detector. This method is extremely easy to integrate into a product line. Bombing test: In this method, the object that you want to test for leakage detection is placed in a specific chamber. It is then pressurized with tracer gas which is also called a bombing chamber. If there is a leakage, the tracer gas will be forced into the object due to the gas pressure. Thereafter the object is placed in a vacuum chamber which is evacuated. The tracer gas that was forced into the object will now escape and be measured by the leak detector. Integrated test of enclosed parts: In this technique, the part is connected to a leak detector and evacuated. The chamber is filled with tracer gas. If there is a leakage, the tracer gas will penetrate the part and be measured by the leak detector. Ultrasonic test: Most leaks emit a sound and, depending on the size of the leak, the frequency of the leak can be higher or lower. An ultrasonic leak detector is used to detect minute leaks. These leaks emit a sound with a frequency which is too high for our ears and thus an ultrasonic leak detector is used in such cases. Ultrasonic leak detectors are devices which are used with a pair of headphones, a meter, a sensitivity adjustment, a nozzle and some level of software. The techniques mentioned above are some of the most effective procedures for the detection of leakage. The However, there are several others such as the bubble test, pressure decay, helium sniff, helium spray, helium accumulation, helium leak detection through vacuum systems and many others. In case of leakage detection, it is best to search for professional help. 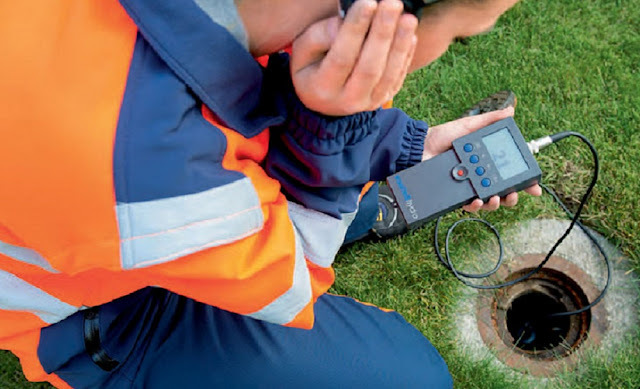 You can find an array of companies in the market to which provides leak detection services. These companies employ trained professionals to accomplish the task of leak detection.